Thanks to everyone who checked out the first response to the #threequestionsEDU series from Andy Buck. I always enjoy reading the writing of others and I hope you find the responses interesting. Please respond in the comments and share what you think. If you’d like to respond to the questions, please read this post first. 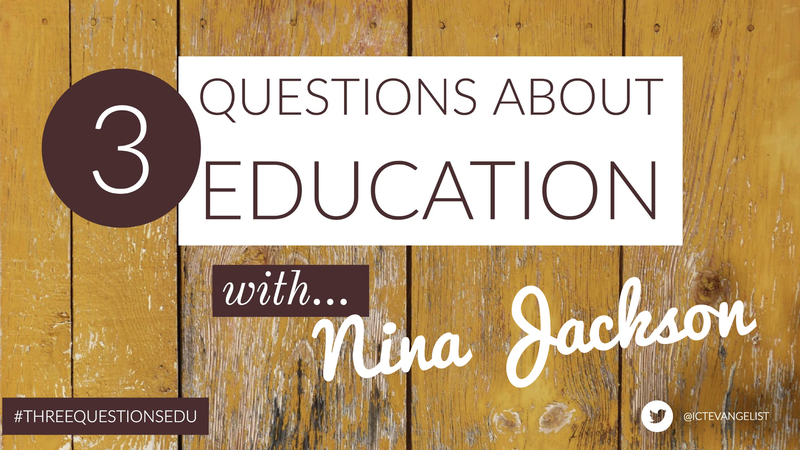 Kicking off the second #threequestionsEDU response is Nina Jackson. Nina is a good friend of mine and wrote the popular ‘Of Teaching, Learning and Sherbet Lemons: A compendium of careful advice for teachers‘ book. There’s a great review here. 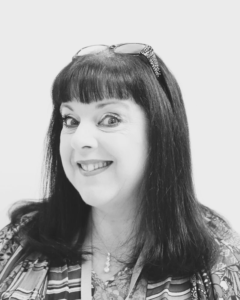 International Education Consultant, Associate Director with @ITLWorldwide, Author and Ninja – always moving in mysterious ways. Funding. Disparity with the effective use of EdTech in schools and colleges. Mental and emotional health issues for students and teachers. Testing, exams and an education system not fit for purpose. Favourite teaching and learning tool is the iPad as I have witnessed a massive increase in student and teacher confidence when shown how to use simple tools for effective pedagogical and technological impact. The way the use of Accessibility has supported students with SEND and the teachers not knowing what is already built in to the iOS device including the iPhone. Testing and examinations. I would introduce the use of iPads for examinations and use a 5 code lock down system so that accessibility could form a real and relevant part of the examination. The ability to audio record responses as well as other forms too – far too many ideas to write here. I’d also look at creating an e-learning journal from EYFS up to the day the child leaves school so that they can have an historical and progressive understanding of what and how they have learned. This would be a personal learning journey not just in school but at home and in the community too and have teachers as well as parents and mementos of the community interacting and giving feedback. A life long learning journey. My thanks to Nina Jackson for taking the time to respond to the questions. I hope you find it of interest and look forward to reading your comments!